Shows the many advantages of thinking like a scientist and argues that today's problems require a scientific approach. You don't have to be a scientist to think like a scientist. Anyone can do it and everyone should. This book will show you how. The advantages are many: from detecting bias to avoiding error and appreciating the richness of the world. Author Stanley Rice, himself a scientist, explains that science is essentially organized common sense. While the brain is hardwired for common sense, unfortunately, it also relies on a number of misleading tendencies. Instead of reasoning objectively it tends to rationalize. Often it sees what it wants to see rather than what is really there. And it is adept at both self-deception and deceiving others. Rice notes that these tendencies were useful in the past as the human race evolved in an often-hostile environment. But today bias and delusions put us at risk of worldwide catastrophe. The author invites readers to participate in the adventure of scientific discovery. He provides many interesting and humorous examples of how science works. He shows how hypothesis testing can be used to tackle everyday problems like car trouble or seeing through the specious appeal of a fad diet. Beyond practical applications, science meets the basic human need to satisfy curiosity: it tells verifiable stories about the universe, providing humans with fascinating narratives supported by testable facts. The author also explores some of science's biggest ideas, including natural selection (creating order out of randomness) and interconnectedness (Earth's systems are intricately intertwined). 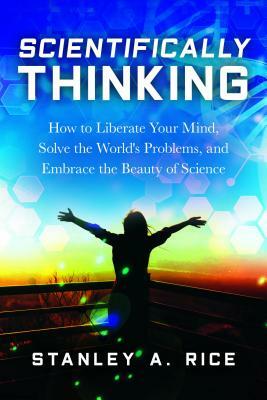 Read this book and learn to think like a scientist. It will guard you against being manipulated by politicians, corporations, and religious leaders, and equip you to deal with the world's most pressing problems. And you will have a lot of fun doing it. Stanley A. Rice is the author of Life of Earth: Portrait of a Beautiful, Middle-Aged, Stressed-Out World; Green Planet: How Plants Keep the Earth Alive; The Encyclopedia of Evolution; and The Encyclopedia of Biodiversity. He is a professor of biological science at Southeastern Oklahoma State University.